On Facebook, a social-reformist leftist posted the fact that the Ontario Conservative government, headed by the right-wing millionaire Doug Ford, had eliminated the position of Ontario Child Advocate Office, integrating it with the Ombudsman’s Office. The person had attached the comment “Shameful”. A subsequent comment objected to the fact that the man who filled the position of Child Advocate, Irwin Elman, found out that his position had been eliminated through the media rather than directly through his employer. Although such an institution may be useful in some cases, the social-reformist left fail to provide any critical distance and question whether such institutions are adequate to their alleged purpose. In other words, the left tend to react to the closing down of downsizing of any institution with a knee-jerk reaction of “let us save this institution” without inquiring while assuming that such institutions do not need to be criticized or changed. In other words, the left often lacks critical distance. When schools were to be closed, what did the left do? “Let us save the schools”–as if schools all of a sudden were ideal institutions. Another, more personal example. In Winnipeg [Manitoba, Canada], when my daughter told me that her mother had slapped her in the face so hard that her tooth was bleeding in Winnipeg, I went to the Children’s Advocate to complain about it, The Children’s Advocate, claimed that there had been indication of physical abuse–but the only institution that could really do something about it was–the Winnipeg Child and Family Services. The last time that I had complained to the Winnipeg Child and Family Services about physical abuse by her mother was a complaint that her mother had kicked my daughter in the back, The response by Winnipeg Child and Family Services was, initially, that there were no marks. The second response was a letter in January, 2004, indicating that they would no longer investigate my complaints and that they may even consult their lawyer and the Winnipeg Police for allegedly making false accusations (which several years later they indirectly admitted were true). The Children’s Advocate did nothing about my allegation of my daughter’s slapping Francesca (my daughter) in the face, and it was the Winnipeg Child and Family Services which inquired into the slapping–about three months later, with no consequences as far as I could see. I hardly read into this person’s comments anything except silence concerning the efficacy of such an institution in relation to advocating for children. This person failed to mention anything about such efficacy in the original post. As for “third party” investigation–which third party? I filed a complaint against the Winnipeg Child and Family Services with the Ombudsman’s Office. Their judgement: the Winnipeg Child and Family Services had committed no breach of its duties, etc. As for the Children’s Advocate–it lacked the power of the Winnipeg Child and Family Services and did nothing, practically, to save my daughter from further abuse. So, this person, instead of focusing on adequacy of such institutions (including “third parties”), complains about how the employee was treated. This person’s criticism of the way the government operated is certainly valid–but he leaves out so much that should be included but rarely is by the left–the adequacy of the institutions themselves. As for employer’s indicating that the Children’s advocate, Irwin Elman was to lose his job through the media–undoubtedly this should be criticized. But what of the thousands of other people who silently are crushed by their employer or who are afraid of complaining about the power of their employer? Does this person complain about that, which undoubtedly an NDP government [the NDP is a social-reformist political party] would fail to address since it assumes that the power of employers is sacrosanct? What is the position of this person on the power of employers in general? Why complain about the abuse of a particular employer only? Why not complain about the abuse of employers as a class? Or use this particular abuse as an example of such abuse? Instead of criticizing only Ford and his government, why not criticize the accepted assumption by the left and the right of the legitimacy of employers in general? The left should take a long look at the above post by [this woman]. The left, by not taking a critical stance on many issues and institutions (they assume that certain institutions, such as schools, the Children’s Advocate, the employer-employee relationship in general, labour laws, collective agreements or employment laws) are somehow the embodiment of fairness, justice and decency. It is the right that then captures the sympathy of certain individuals by eliminating or reducing funding to certain institutions. Such individuals then falsely generalize to believing that “Ford needs to drain the swamp of these types of institutions.” Ford becomes popular because the left fails to criticize certain institutions that deserve criticism–and then individuals turn to the right by overgeneralizing–as if Ford were sympathetic to the creation of a humanistic world rather than pandering after the interests of employers. The problem with this approach is that we are forced to take sides in the real world. I oppose Ford because of what he represents–the interests of employers. His elimination of the Children’s Advocate has little to do with benefiting children and probably more to do with his agenda of streamlining government so that employers have to pay less. All this talk of saving “taxpayers’ money” is itself a cloak for the benefit of employers. To be opposed to multinational corporations would entail being opposed to Ford on many fronts–why then focus on “supporting Ford” on a particular issue since the general issue is what Ford represents–employers as a class? Ford is a parasite–he is an employer and a millionaire. How did he obtain his money if not by exploiting workers? Why not criticize this form of parasitism–which is the central parasitism of our times–rather than a particular parasite? Or why not criticize Ford as exemplary of such central parasitism? Or where do the profits of employers come from except from the exploitation of workers (employees)? One of the lessons of this discussion is, as I indicated in my post to Facebook, the left often reacts in knee-jerk way to the actions of the right in relation to specific social institutions in such a way that they alienate others who consider those social institutions to be a waste. 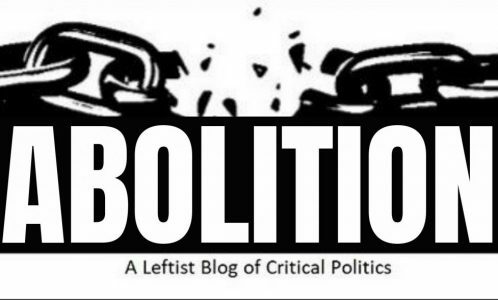 The left in effect act as conservatives of past institutions that may well deserve to be restructured or eliminated in order to address problems internal to such institutions. A second lesson is that the left do not see that there is mixed in the beliefs of supporters of the right critical aspects that may form a way in which to undermine such support (such as the woman’s belief in eliminating parasites and her opposition to multinational companies). A third lesson is that the left, by assuming that employers are necessary, form an implicit alliance with the right despite the apparent opposition to them. The issues between the social-reformist left and the right stem mainly from the issue of the extent to which the state will be a welfare state or not–a social-democratic state versus a neoliberal state. The left, however, like the right, assume that employers as a class are here to stay. The issue for it is never in questioning the legitimacy of employers but whether a society dominated by a class of employers can accommodate a welfare state. By not engaging in a critique of the power of employers as a class, the left miss an opportunity for connecting with those who support some of the actions of the right. Has not the right restructured the state? Has not sections of the working class supported such restructuring in part because of the lack of criticism by the left of a society dominated by a class of employers? The left will at best propose welfare reforms, but since it shares with the right the belief in the sanctity of the employer-employee relation and the limits that imposes on state restructuring and reform, it will likely produce a backlash in the form of support for right-wing policies by sections of the working class.